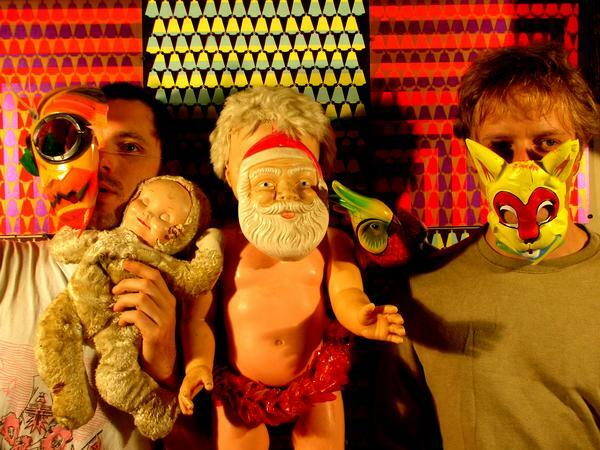 Tomorrow Lightning Bolt perform as part of our 10th birthday celebrations, an intimate gig at VIVID – this is sure to be a special one! Taking us back to when we first put them on in what is now the Theatre Space at the Custard Factory back in 2004, that show was unforgettable and we’re sure that this one will be too. Support comes from Tweak Bird + Pete Prescription. The show has completely SOLD OUT! Friday PRAM perform accompanied by visuals by Film Ficciones at VIVID, incorporating the techniques of early cinema, Filmficciones dark collages are stalked by a live performance by Pram, creating an eerie musical nightmare – think creepy Victoriana, tropical analogue and tumbledown funk. With support from LIGHT TRAP, featuring Nic Bullen (Ex Napalm Death/Scorn), Johnny Doom (ex Sore Throat/Doom) + Dougie of Una Corda fame. They combine blackened and primitive noise rock with progressive and experimental elements.